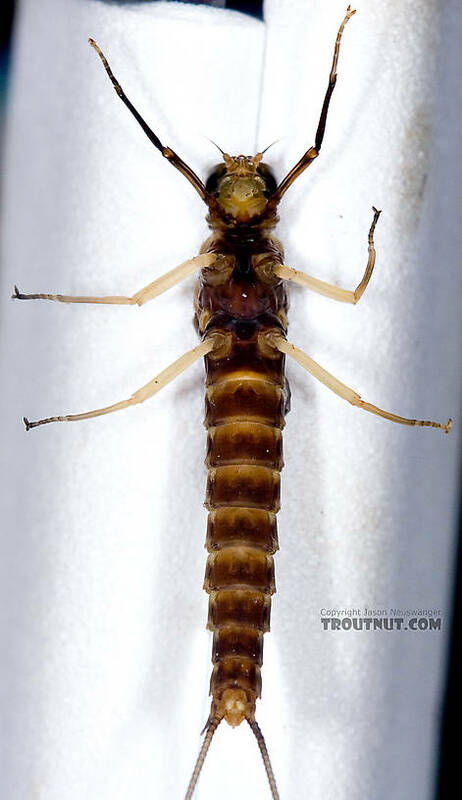 I thought this dun was worth photographing, even though she's in pretty bad shape, because she shows something I haven't seen in Isonychia elsewhere. 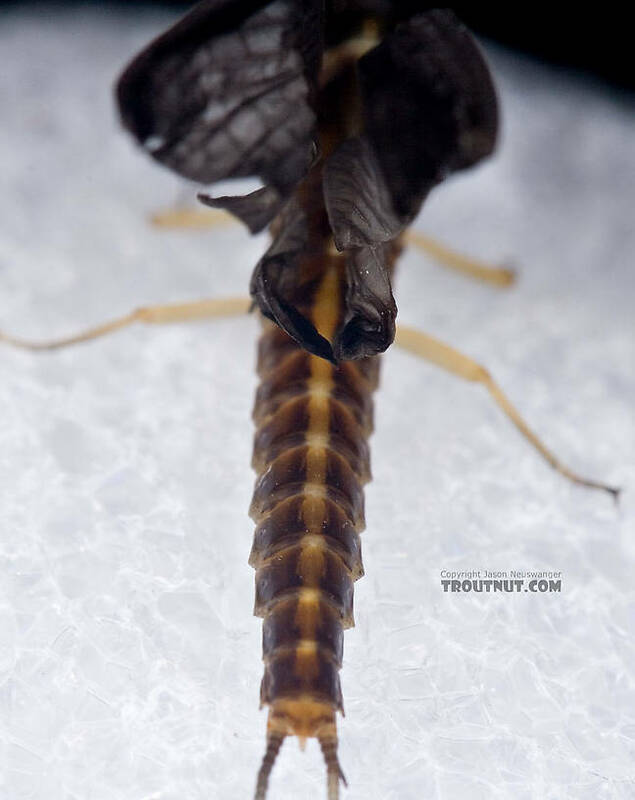 The bright stripe down the back which is normally present only in the nymph carried over to the dun in this one. 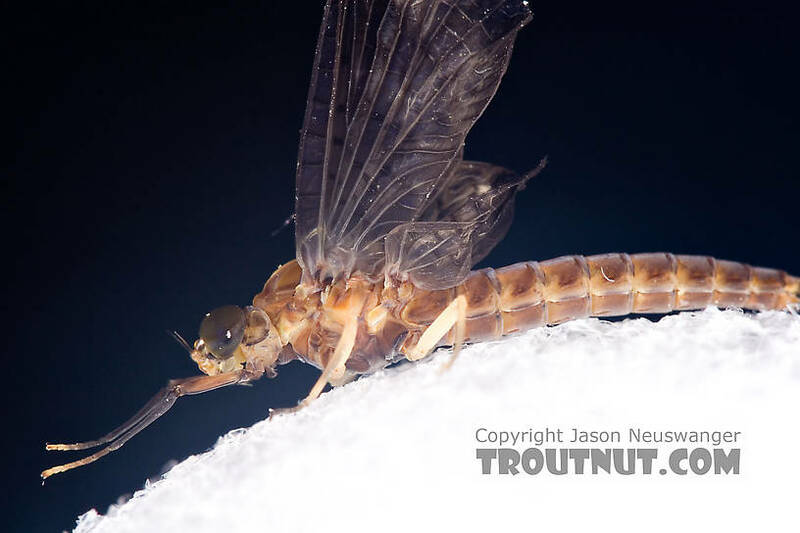 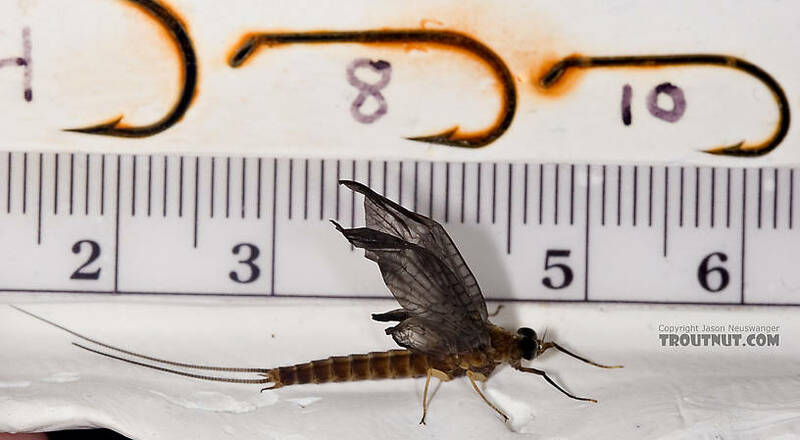 This mayfly was collected from Penn's Creek on May 26th, 2007 and added to Troutnut.com on June 4th, 2007.